Computing is advancing with wearable technologies that can be adapted for law enforcement application. Many departments have already started experiencing with adaptable versions of Google Glass, Smart Clothes, Apple Watches, and body worn cameras. Here are a few wearable technologies that are on the horizon that could benefit law enforcement? Police worn body cameras have gotten a lot of attention in the last few years. Many departments have adopted some form of this wearable video/camera technology to protect officers and to satisfy public demands for more accountability. 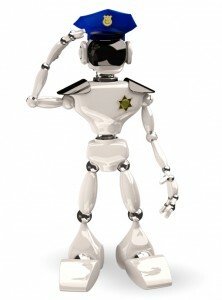 Law enforcement and the criminal justice system has been quick in adopting technologies for efficiency and safety. As wearable technology advances, law enforcement will be on the front helping computer engineers and inventors test and modify technology into a useful tool to make our communities safer. Posted in Mark's Articles and tagged Criminal Justice, Police, Sheriff, Wearable Technologies. Bookmark the permalink.